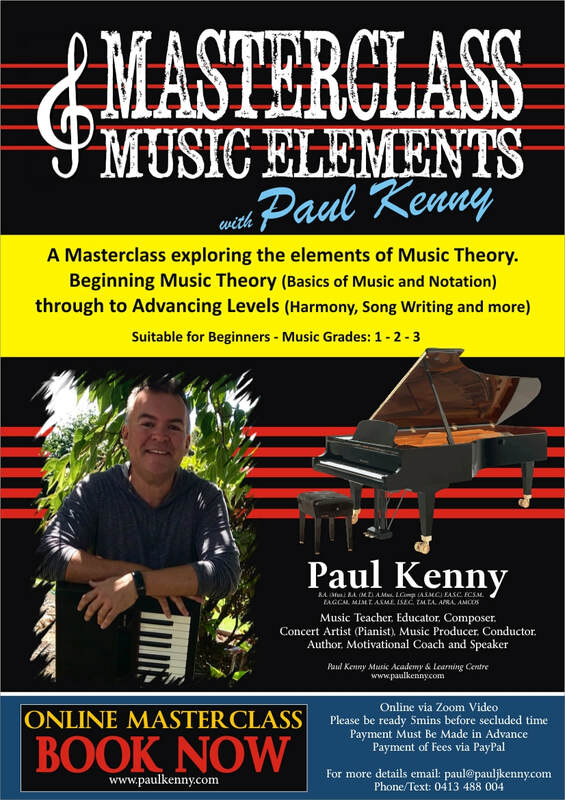 A Masterclass exploring the elements of Music Theory. Beginning Music Theory through to Advancing Levels. Music grades 1-2-3. Suitable for Beginners. 4 x 60min sessions held over one day. Cost - AUD$95.00 per person. 3 x 60min sessions held over one day. Cost - AUD$75.00 per person. Classes run monthly so please contact Paul Kenny for details of session times. Small group classes also available for schools, etc. within Tasmania, Australia.